Impala Script is a contemporary handwritten typeface created by David (Squid) Cohen together with Stuart Sandler and published by Sideshow. This elegant font merges with many applications, text, display, invitation, romantic projects. 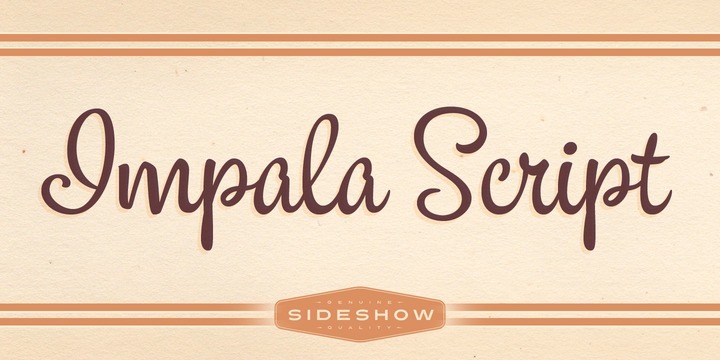 “Impala Script” is a trademark of Font Diner DBA Sideshow. A font description published on Tuesday, December 3rd, 2013 in Fonts, Sideshow by Alexandra that has 6,883 views.